GUILDERLAND – Carl M. Bellinger, 86, of Guilderland, died peacefully Saturday, March 5, 2011 at his home surrounded by his family. Mr. Bellinger was born in Schoharie, but lived most of his life in Albany and Guilderland. He proudly served in the U.S. Marine Corps during World War II, and fought in the South Pacific battles of Saipan, Tinian and Iwo Jima. He was employed by the Times Union newspaper for thirty two years in the circulation department, retiring in 1987. He was a life member of the VFW Post 7062. He loved horseback riding, the outdoors and travel; visiting Cancun, Aruba, Hawaii, as well as Alaska and the Pacific Northwest. He also was a jack of all trades and always had a home project to keep him busy. But most of all he enjoyed spending time with his family and grandchildren. Mr. Bellinger is survived by his beloved wife Lillian Warner Bellinger for 63 years; his daughters Marcia Jones (Dennis) and Sharon Genhofer (Bruce); his grandchildren Shane Jones (Melanie), Blake and Nicole Jones, and Rachele, Alexa and Aidan Genhofer. He was predeceased by his brother Earl Bellinger. The family would like to thank Crystal for her constant loving, care and support; Dr. Hornick and Craig, P.A. of Homedical Associates; and the Visiting Nurses of Albany especially Rose, Joel, Lori, Beth and all others who provided such wonderful care for Mr. Bellinger. Funeral services will be held in the Hans Funeral Home, 1088 Western Ave., Albany, Tuesday morning at 9:30. Relatives and friends are invited, and may call at the funeral home Monday from 4-7 p.m. Interment will be in Memory Gardens, Colonie. Those who wish, may make memorial contributions to Community Caregivers, 2113 Western Ave., Suite 4, Guilderland, NY 12084; or to Guilderhaven, Inc., 6655 Route 158, Altamont, NY 12009. 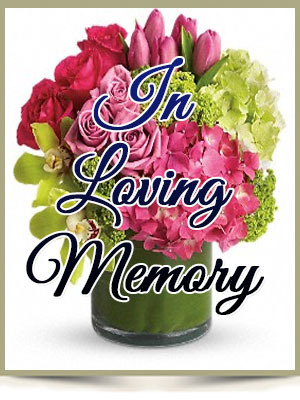 To leave a message of condolence for the family, send a sympathy card, or obtain a donation form or directions to the funeral home, please visit www.HansFuneralHome.com . CARL- I WILL MISS YOU VERY MUCH YOU WERE A VERY GOOD FRIEND OF MINE. I ENJOYED ALL THE TIMES WE SEEN EACH OTHER. I WILL NEVER FORGET ALL THE STORIES YOU TOLD ME. R.I.P CARL. YOUR FRIEND ALWAYS JIM. We never met…but we shared those terrible days on Saipan, Tinian and Iwo Jima. I often think of the words I often heard during my years in the Corps…….” …and when I go to heaven, to St Peter I will tell….another Marine reporting …I’ve served my tour in hell. I am so sorry for the loss of your husband & father. Your family was the first family to welcome us in the neighborhood in 1971 and 40 years later we are deeply saddened to know that we will never see that jaunty wave of his ever again. He always had a smile for me when we saw each other and till this day, I have yet to see a lawn that has measured up to his standards. Thank you for always being so kind to me, my brother Rene and my parents over the years and leading by example what a great neighbor is supposed to be. It was always such a pleasure to talk with you at a family gathering,what a great guy, strong confident and kind. Carl was always able to put me at ease and could make you feel special and part of the family.We miss you already. Love John & Debbi. My condolences to you all at this difficult time. As ill as Carl has been, it is not easy when death occurs to come to terms with the finality of it all. My thoughts and prayers are with you all. Sending our deepest sympathy to you and your family. Our thought and prayers are with all of you. I want to express my condolences to the Bellinger Family at this time of your loss. May your sadness be replaced with good memories of Carl’s life and the peace of knowing that Carl is now in a better place. I am a co-worker of Bruce Genhofer’s and my thoughts and prayers go out to your families. Mrs. Bellinger, my sincere condolences to you at this difficult time. I do the genealogy for the Hilltowns and find that you and I are distant cousins many times over. II have been able to trace Carl’s mother’s family back several generations, but do no know his father’s first name since he died so young. I am probably related to Carl also as I am also descended from the Schoharie Bellingers.